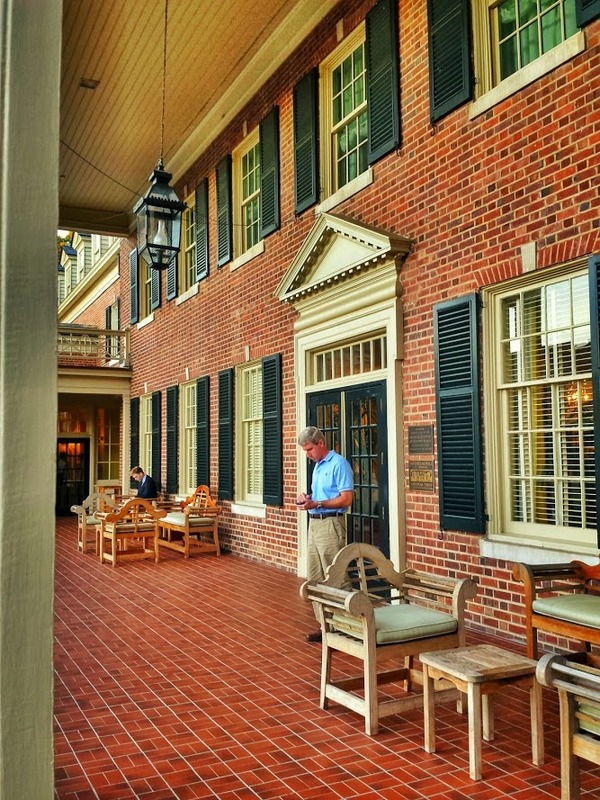 The Carolina Inn on the UNC campus in Chapel Hill, North Carolina turned 90 in 2013. 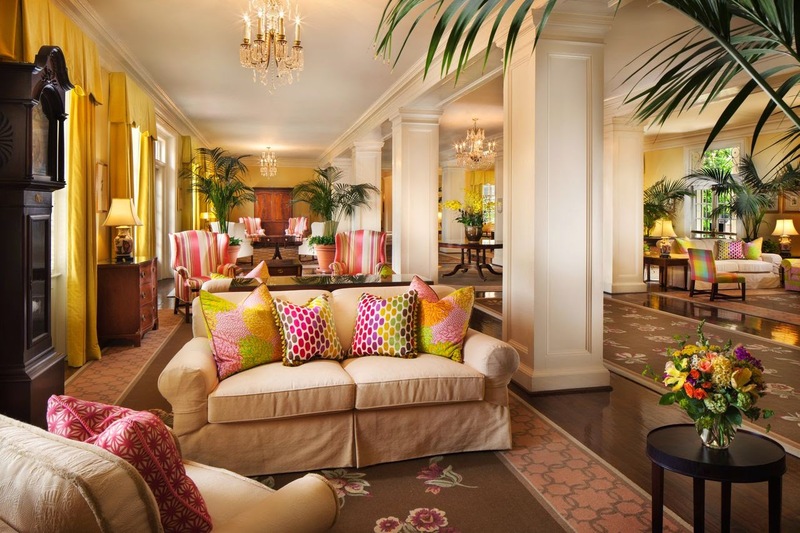 There's a lot of history within those hotel walls. 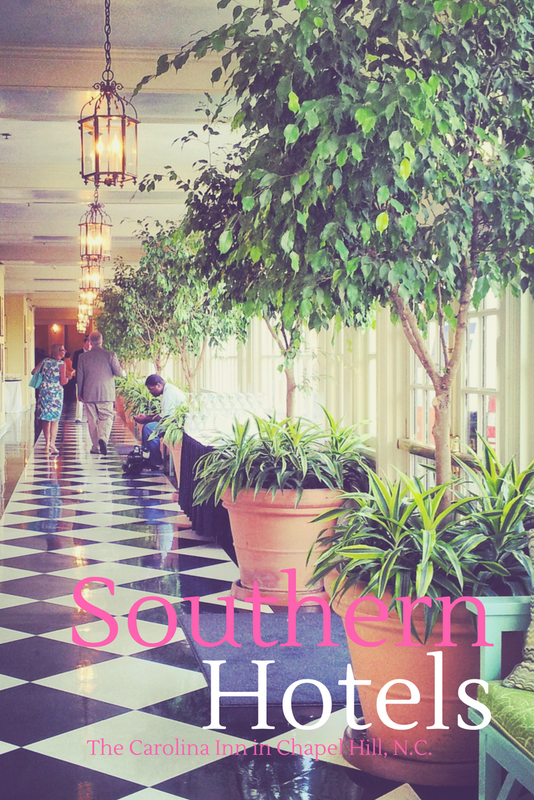 I love to visit the Carolina Inn in Chapel Hill because it feels so Southern, and it is on the campus of my alma mater, The University of North Carolina at Chapel Hill (UNC-CH). Love a Southern porch. Who's that handsome man in a Carolina Blue shirt? I claim one. Look, both men are checking email or the weather. The Carolina Inn is reported to be haunted. I've been told that Dr. Jacocks haunts the Carolina Inn and he is quite the friendly ghost. Personally, I don't care to find out. Here's some advice if you get spooked easily, don't ask for room 256 because you may not be alone. Dr. Jacocks, the Inn's beloved ghost, loves to lock guests out of their room. You see, he lived at the Inn for 17 years after his retirement. I don't blame him. I like room service, too. 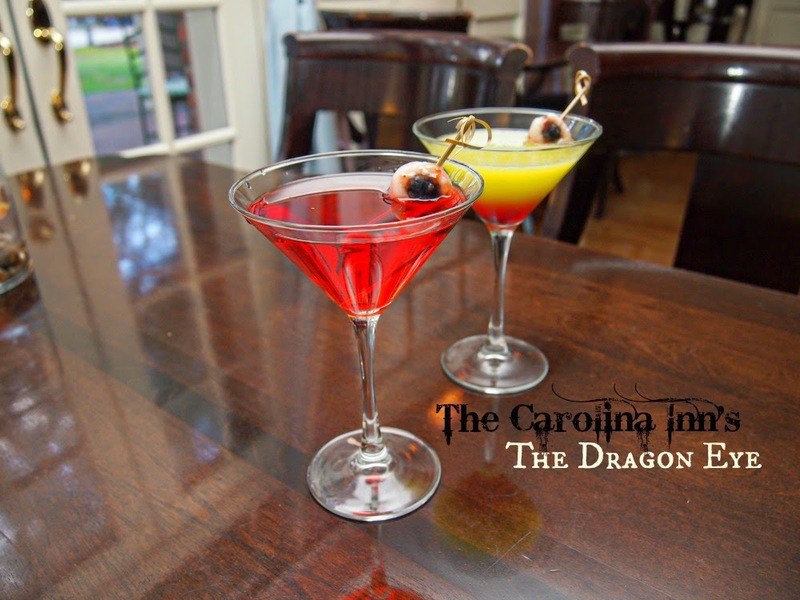 You can make the Carolina Inn's spooky Halloween martini at home. 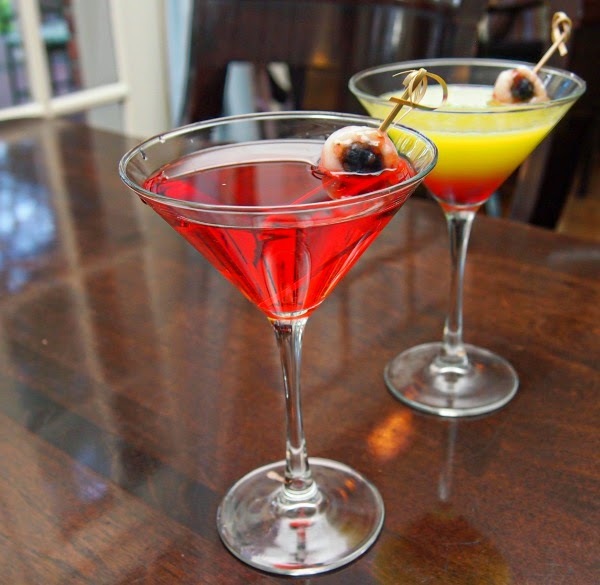 Eyeball is lychee, blueberry and red jam. 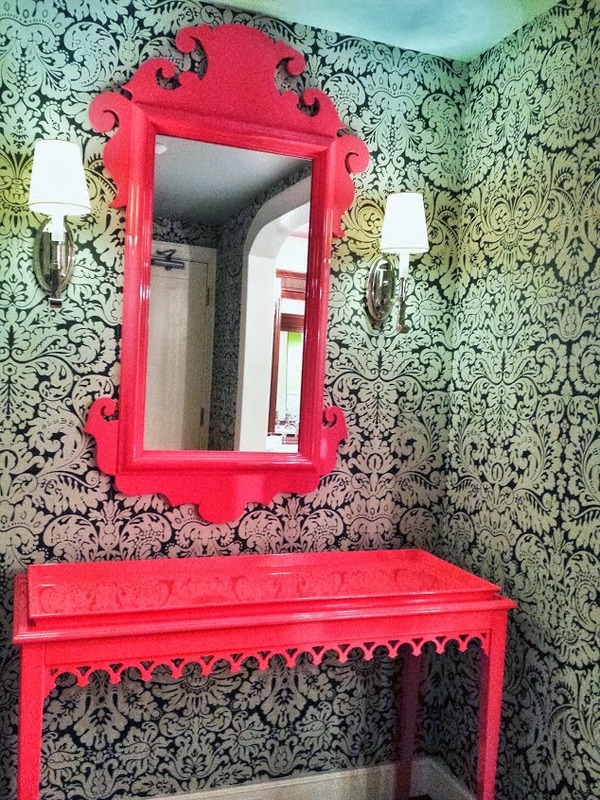 And if you go, check out this great mirror and table in the lobby bathroom. I really like it. The Carolina Inn completed a renovation in 2013.I love the bathrooms near the Fairview Dining Room. 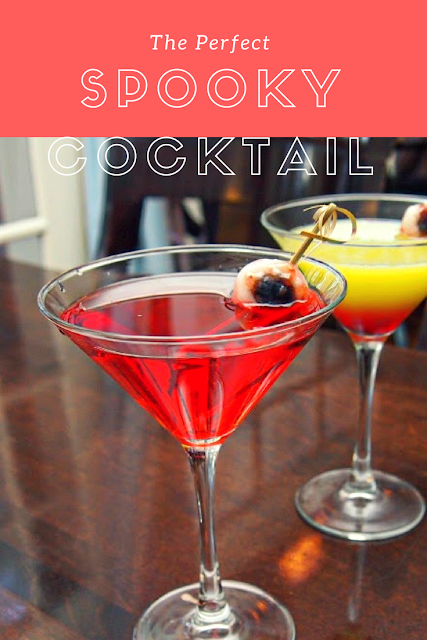 Want to make the cocktail. Pin it. My thanks to RVO Orthodontics for sponsoring my Southern lifestyle blog and keeping me at my desk writing. That cocktail looks so fun. It's the perfect addition to a spooky hotel!